Jenn and Romy: We Made it to Berkeley!! After a long long drive, we finally made to to Berkeley. The drive was really nice, at least the second half. 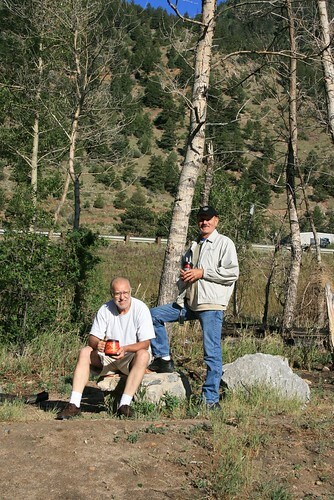 We drove through Iowa, then exciting Nebraska, and then into Colorado. We passed over the Rockies on the second day, and drove into Utah. Utah near Moab was the first place we stopped and ventured off the highway. We got off of I-70 and drove along the Colorado River into Moab, where we had lunch on Friday. Then we barely made it out of Utah that day. 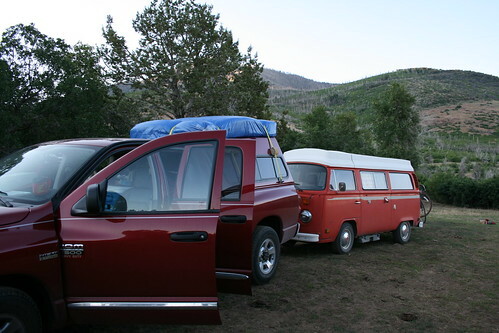 We camped out in Fishlake National Forest, near the Nevada border. 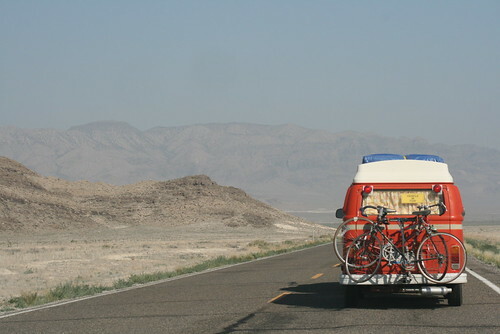 On Saturday, we headed into the long and lonely Nevada desert on Hwy 50. We expected Nevada to be really dry and dead, but it was surprisingly green and mountainous. Towards the end of the day, we made it to Reno, and then got back onto I-80 over the Sierra Navada's and into California. We camped out in Auburn, where we had our first shower since leaving Chicago!!! Now we are in Berkeley, on campus. We got our UC Berkeley ID cards today, and hopefully we'll start looking at apartments soon! 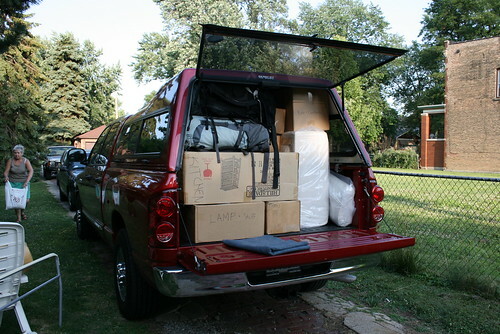 The pick up truck is all packed up with our boxes and ready to go! Saying goodbye to family. 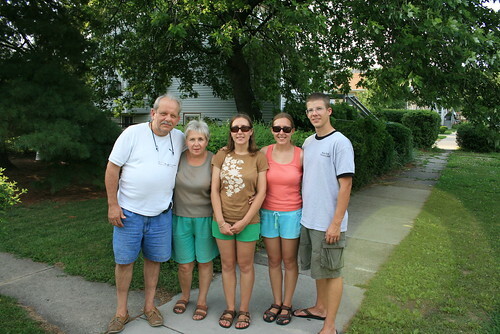 Left to right: Bill, Mom, Nicole, Jenn, Romy. 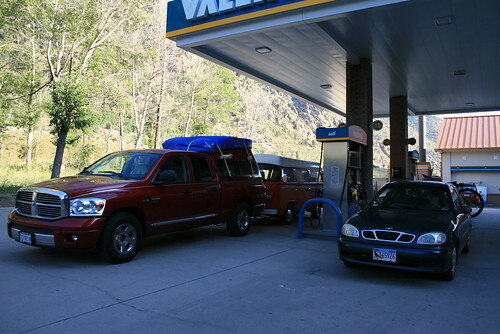 Filling up at the gas station in the Rocky Mountains, Colorado. Setting up camp in Utah, in the Fishlake National Forest. The bus in tow. Driving through the Nevada desert along Hwy 50. 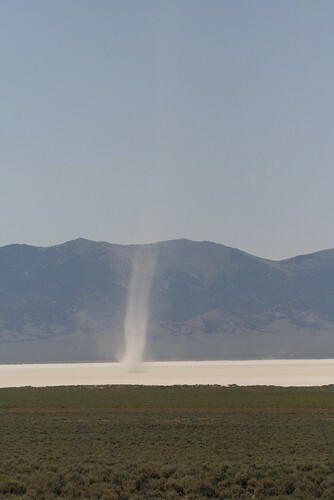 A dust devil swirling on Nevada salt flats. 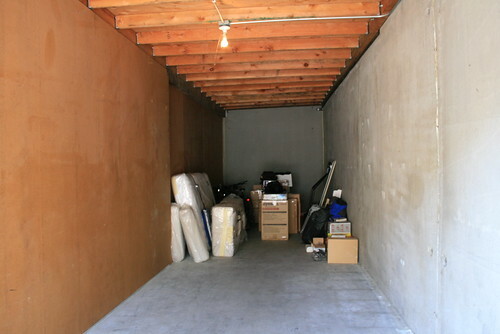 Our HUGE Public Storage space. We moved in for only $1. We have room to store the Daewoo or the Bus inside along with all of our stuff. 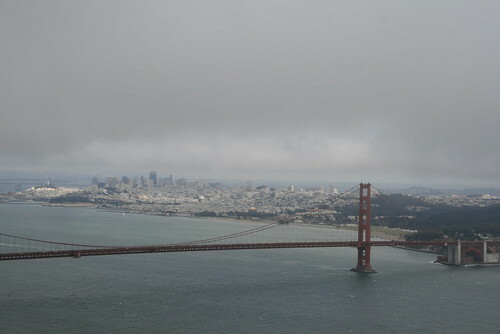 A foggy day over San Francisco and the Golden Gate Bridge!